Ashersons Attorneys is proud to announce that we are taking part in the Law Society of South Africa’s National Wills Week which is held annually from 17 to 21 September 2018. Why must you have a will? By making a will you ensure that your assets are disposed of in accordance with your wishes after your death. This privilege is called “freedom of testation“. Why should an attorney draft your will? Attorneys are professionals qualified in law. An attorney can advise you on any problem which may arise with regard to your will. An attorney has the necessary knowledge and expertise to ensure that your will is valid and complies with your wishes. Often a will is not valid because the person who drafts it does not have the necessary legal knowledge to ensure that the requirements of the law are met. What happens to your estate if you die without a valid will? If you die without leaving a valid will, your assets will be distributed according to the provisions of the Intestate Succession Act. The provisions of this Act are generally fair and ensure that your possessions are transferred to your spouse and children. Your assets may not be left to the person of your choice. It can take a long time to have an executor appointed. The executor who is appointed may be somebody you may not have chosen yourself. There can be extra and unnecessary costs. There can be unhappiness and conflict among members of your family because there are no clear instructions on how to distribute your assets. 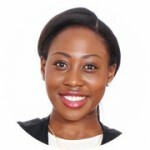 Mame Amoateng, a candidate attorney, joined Ashersons in 2014. Mame holds a Master of Laws Degree in International Litigation and Arbitration. Mame’s interests lie in cross border disputes, commercial arbitration and drafting commercial contracts.